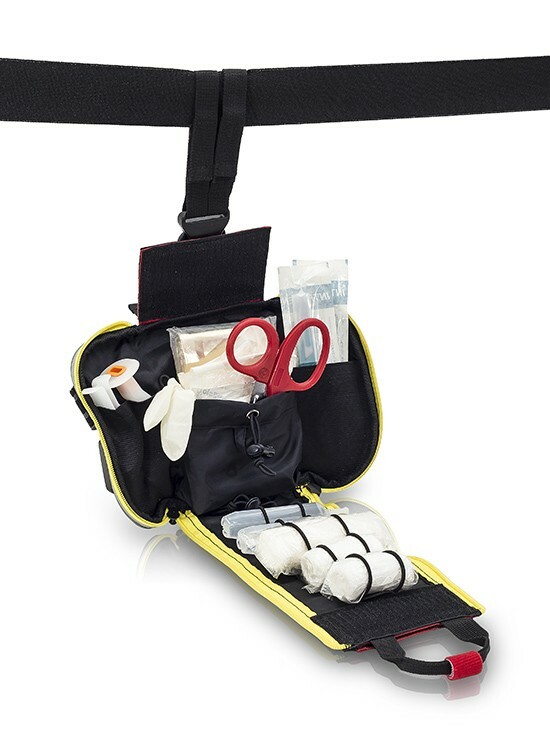 Leg first aid kit, medium size (2-3 pax). Its double opening system allows a quick and complete access to the interior. 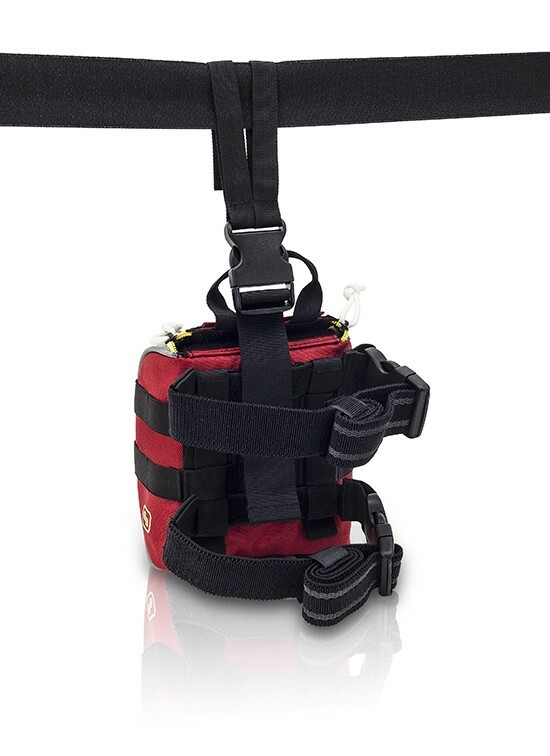 Its position can be regulated, and the anti-slippery bands stops the bag moving on the leg. 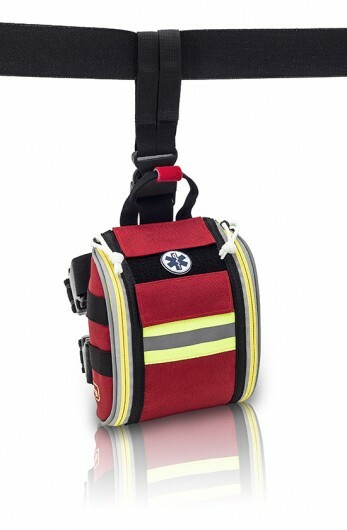 Central main pocket with adjustable opening system (basic care material).